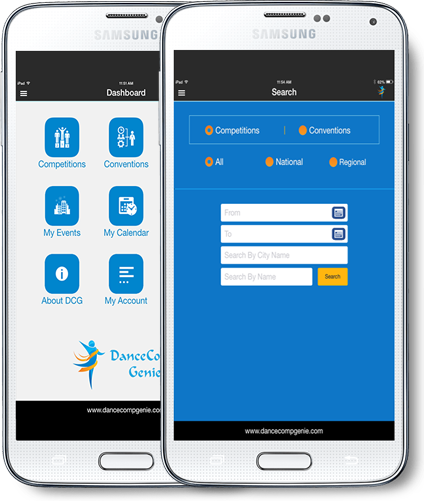 Staying on schedule and connecting with your customers has never been easier thanks to DanceComp Genies Event app! 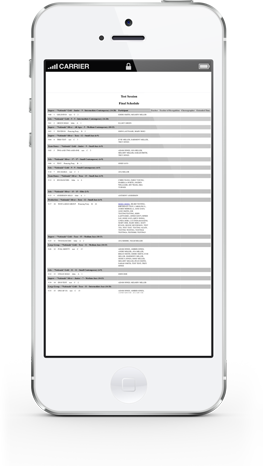 Load your locations and provide a live schedule that stays updated if you make changes. Post announcements for the audience, results, critiques, photos and much more. 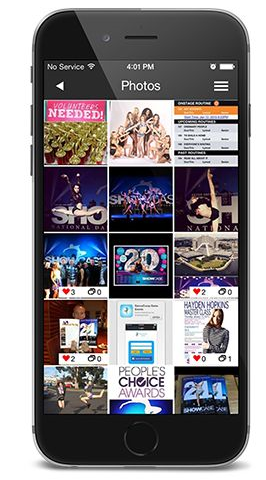 Studios and dancers can activate locations from inside the app, creating a brand new revenue stream for your business. Your Dance Competition Will Never Be The Same. A 'Must-Have' Tool for Studios, Dancers and Attendees. Exclusive features, photos and announcements. 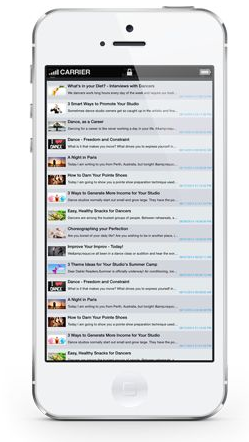 Studios can use the app to search and collect information on each of your locations. They can add your competition their 'My Events' page to stay connected! As the competition schedule changes through-out the event, the app will update itself to the latest schedule. You can also update the schedule inside the app manually. Studio, dancers and families can open the app and save routines to their own personal compatition schedule. The DCG Event's app will reminder the user before each routine is set to perform, even with changes to the schedule. Connect to Instagram or load up to 9 photos at a directly into the app's Photo Stream tool to give users a backstage pass to your locations. Users can 'heart', comment, and share photos from inside the app. 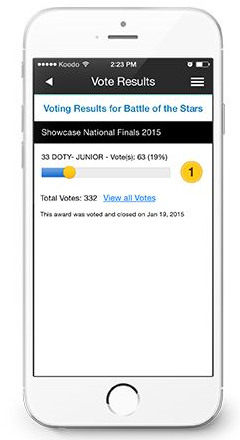 Create an Audience Choice Award and bring the audience into the competition This is just tool, of many, that were designed to provide more entertainment to the attendees. When the audience or dancers are waiting for their next routine, they can read interesting articles and stories in the Knowledge section. Brand new content is uploaded from our team of writers. Share info about your awesome adjudicators and staff memebers. Staff member bios will help studios and dancers find the person to speak with. Optional, built in, communication tools are available to help studio's connect with your staff from inside the app.